100% New and High Quality Weight:50g Wire diameter: 0.8mm. 63/37 rosin core solder. FLUX 2.0%. 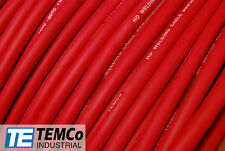 Good solderability, insulation resistance, No spattering and Non-corrosive. Widely used in electrical and electronics, solder parts like circuit board, electronics devices and others. 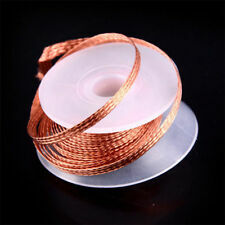 INCLUDED : 1 x 0.8mm Solder Wire Reel Brand Unbranded MPN Does not apply UPC 4894462169407. Type: 100% New CP-2015 Length: 2.5 foot (75cm) Width: 2.0 mm Coated with ultra high purity water white rosin flux. 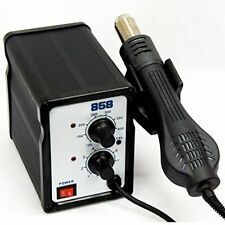 Excellent thermal transfer for faster, safer desoldering using lower temperature irons To use: Place the solder wick over the area to be desoldered, apply your hot soldering iron and the solder will be soaked up into the braid, repeat with a fresh area of braid until the joint is free from excess solder. Please note that the length of the wick is 75cm, not 1.5m as printed on the item. Capacity: 150g. 1 x 150g Paste Flux. IC and PCB are not corrosive. Smooth welding surface. 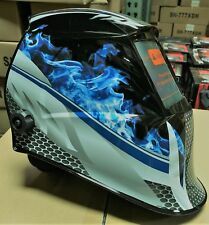 Strong insulation, smooth welding surface. The colors may be a little difference for the different monitor display. 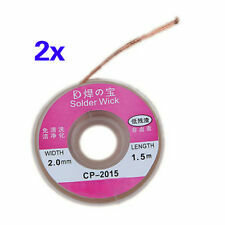 0.8mm Tin Lead Reel Rosin Core Flux Solder Wire for Electrical Soldering Welding. 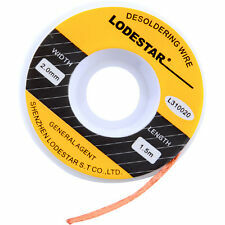 0.8mm Tin Lead Reel Rosin Core Flux Solder Wire for Electrical Welding. 1x Roll of soldering wire. Easy to carry and it is sure an electronic enthusiasts essential gadget. Capacity: 10ml. 10ml pen applicator with specially designed felt tip. Halogen-free, non-rosin organic flux pen. Exhibits improved soldering performance to minimize solder bridges (shorts) during rework operations. 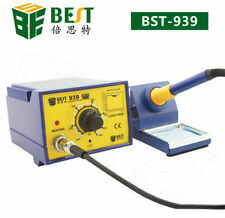 Used to high-precision circuit board soldering SMT, BGA soldering processes, etc. 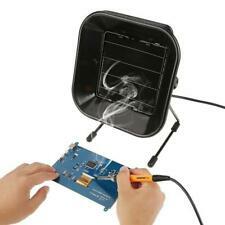 No false welding, strong adhesive with solder iron tip. White and plump solder joint. 1pc x solder paste. Alloy: Sn63/Pb37. It is the mixture of high-quality alloyed powder and resinic pasty flux, it can avoid the pale yellow residue, so you are easy to clean the board. Joint High Intensity. We will leave it for everyone that leaves it for us. 5 x Replaceable Iron Tool Solder Tips for Soldering Station 30W diameter ：3.5mm length:65mm please allow error in 1-2 cm Temperature adjustment range: 500 (℃) Diameter (approx. ): 3.5mm Length (approx. ): 65mm Brand Unbranded MPN Does not apply UPC 4894462396032. 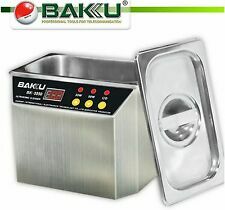 3pcs Kitchen Plastic Dough Press Maker Dumpling Pie Ravioli Making Mold Mould. FLUX 2.0%. H-shaped wound tourniquet survival training Israeli forces hemostasis bandage. Widely used in electrical and electronics, solder parts like circuit board, electronics devices and others. Grinding and welding mode can be chosen. Light states: DIN 4. 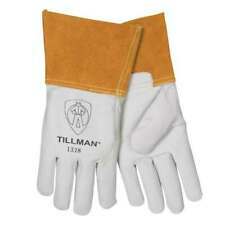 Suitable for all types of the electro-welding: arc welding, gas shielded welding, etc. except laser welding. Mask material: PP. Sensitivity(welding based on current size): adjustable: low/high. 20pcs x Aluminum Rods. Preheated before welding to 400 ~ 500 degrees after welding. Welding with copper gas welding solvent to be solvent. Suitable for TIG welding and oxygen - acetylene gas welding pure aluminum and the joints of aluminum alloy as a filler material. 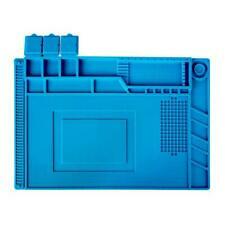 Material: plastic solder paste. 1pc x solder paste. Alloy: Sn63/Pb37. USA, Canada, United Kingdom, Austrilia, France, Germany, Spain, Ireland, Italy, Others. Canada, United Kingdom, Austrilia, France, Germany, Spain, Ireland, Italy, Others. Welding Process: MMA, MIG, MAG/CO2, TIG and Plasma Welding. 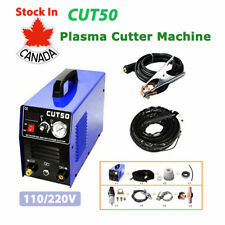 Arc Gouging & Plasma Cutting. A smart choice for safety. Less pressure, and a well-adjusted personal fit. Shade Range:DIN 4, Variable 9-13. Free Shipping! Premium Quality! Blowout Prices!!! Flux 2.0%. 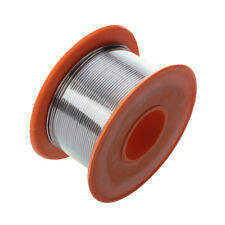 1 x 0.8mm Tin Lead Soldering Wire Reel. Widely used in electrical and electronics, solder parts like circuit board, electronics devices and others. 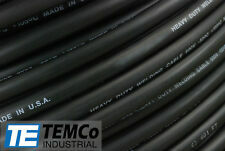 Wire Length : 7m /22FT. hope you could understand. 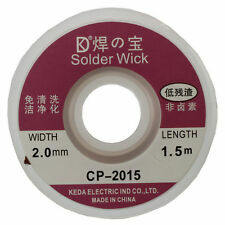 Solder Wire weight: 100g. 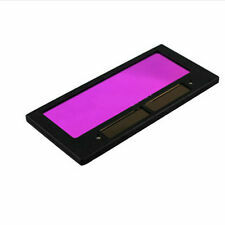 High purity solder surface bright, full pads. 1x 1mm 60/40 Solder Wire. Material: 60%Tin,40%lead. Used for argon arc welding and filling material for pure aluminum, connection with aluminium bus and guide rod of electrolytic aluminium plant and electric power, chemistry, food and so on. 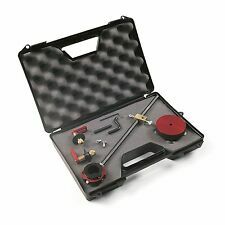 Use propane gas to weld s mall object, use industrial gas or induction heating device to heat and weld big object, natural slow cooling after welding. 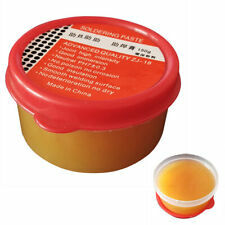 1 x Soldering Iron Tip Refresher Clean Paste. Clean welding nozzles with solder sponge or copper wire. 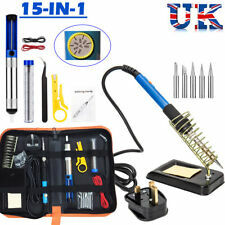 Suitable for: Soldering iron head cleaning. Tin is plated on the welding nozzle. Operation Manual. 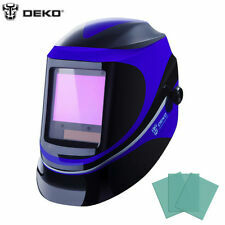 Maintains 0.40" gap between panels for edge-to-edge welding. Zinc plated steel for rust resistance. Clamp Material: Steel (Zinc plated). Easy to install and remove. Cooperation and communication are the only way to reach a resolution. Miller Welding Calculators -New!- 3 Pack (Mig, Tig, Stick) w/ Sleeve -FREE SHIP!